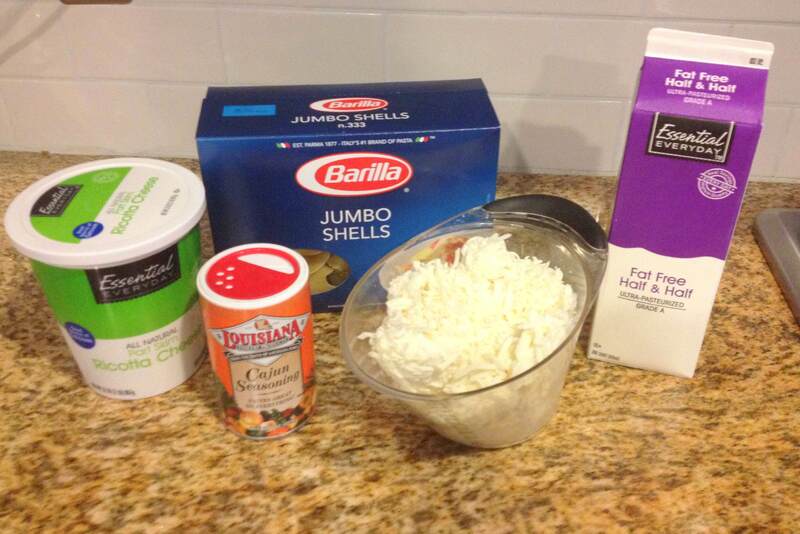 I have always wanted to try my hand at stuffed shells. I used to work at an Italian restaurant and they had these amazing stuff shells! So I decided to go ahead and make up my own mixture to put inside. I went for a spicy mixture because my dad is in town and he loves spicy food. 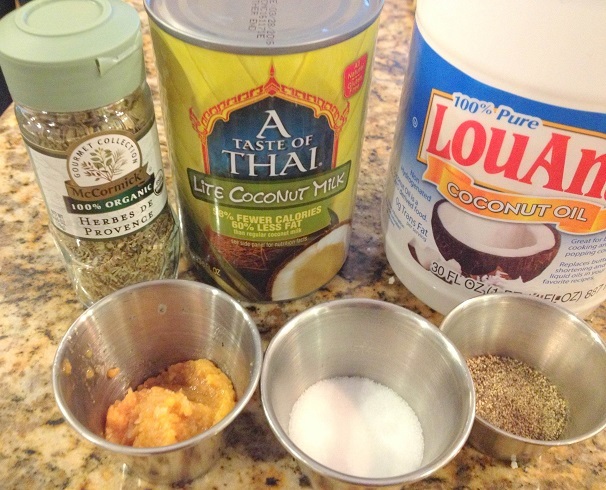 You could always replace the Cajun spice with simple salt and pepper or even lemon pepper. You could add marinara- the possibilities are endless! Once your pasta has cooked- drain it and let it cool. 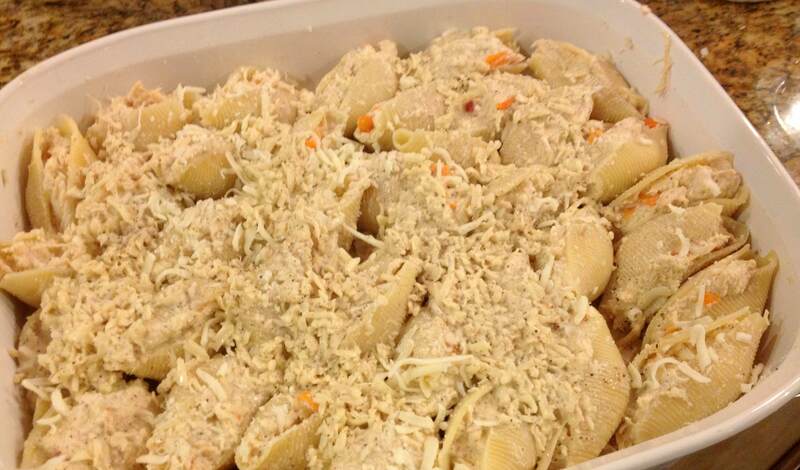 Stuff shells with your chicken mixture, about 1 Tablespoon per shell. 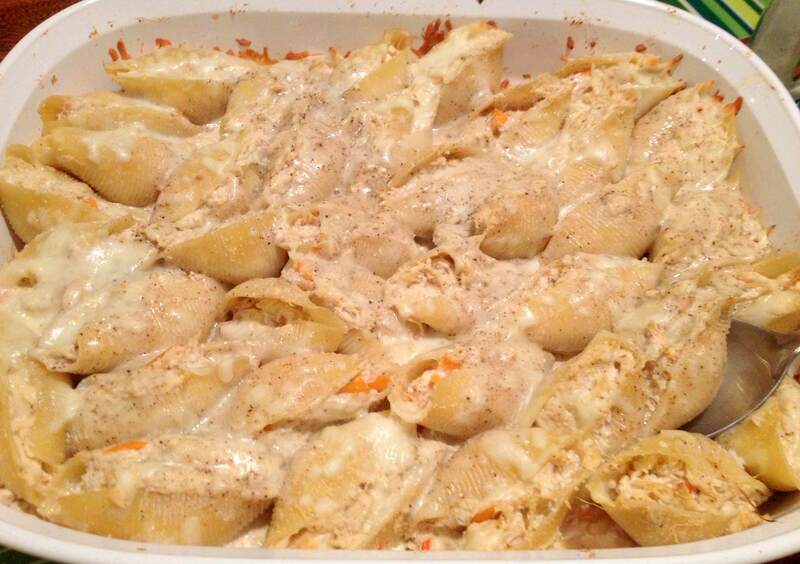 Place in an oven safe dish. 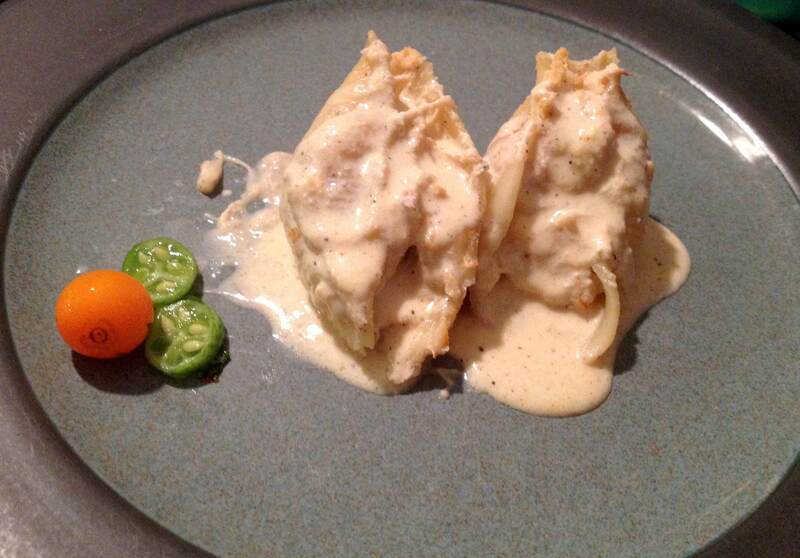 Cover shells with your sauce mixture and sprinkle with extra shredded Mozzarella. 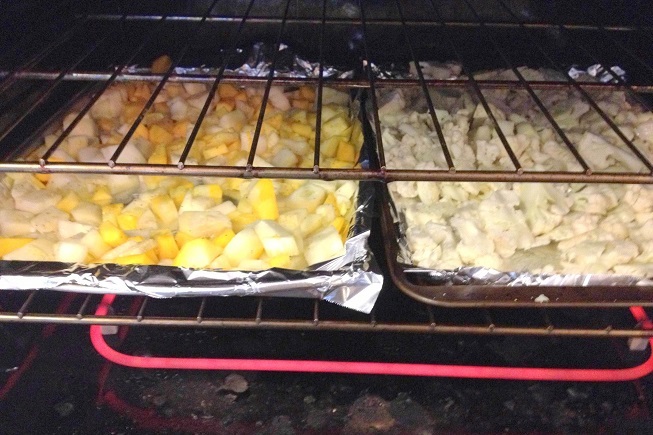 Bake at 350F about 30 minutes or until heated through and cheese is melted. *Side note: pre-made Cajun seasoning from the store tends to be salty so if you ask me salt is not needed in this recipe! I will also suggest looking up your own Cajun seasoning recipe so you can control that factor. 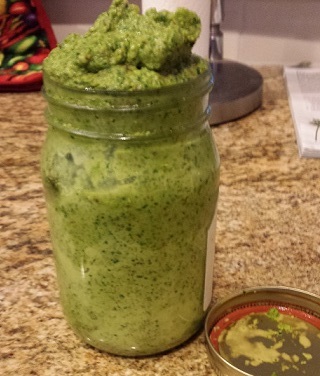 When most people hear pesto they think basil but that doesn’t have to be the case. 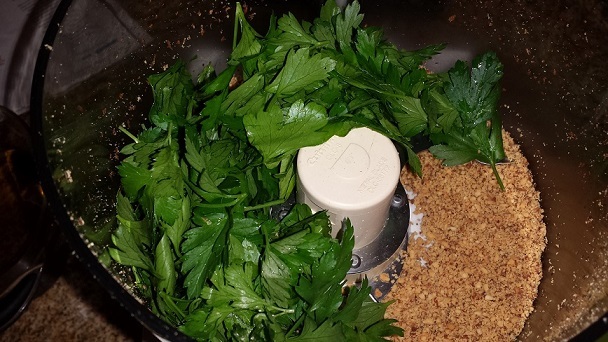 The word pesto comes from the Italian word pestare which means ‘pound or crush’ so it doesn’t always have to include basil, which this recipe does not. I came across the original recipe in a magazine while I was waiting to meet with a community member for work and now for the life of me can’t remember which one it was so I just kind of went with the flow. In the end it turned out great! 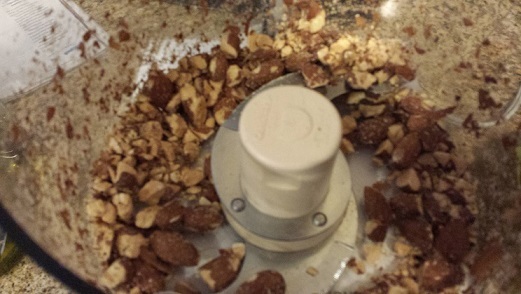 In your food processor pulse the almonds until smooth. 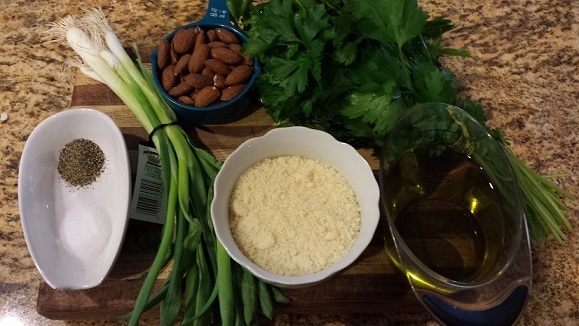 Add parsley, chives, oil and Parmesan. Continue to process until smooth. 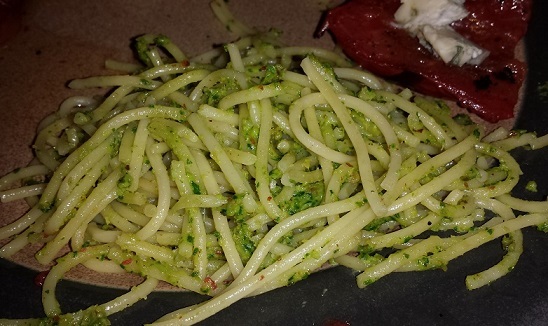 Your pesto will be a little thicker than what you’re used to but keep in mind, you shouldn’t heat up pesto just serve it over warm pasta and mix it in and it will taste great! 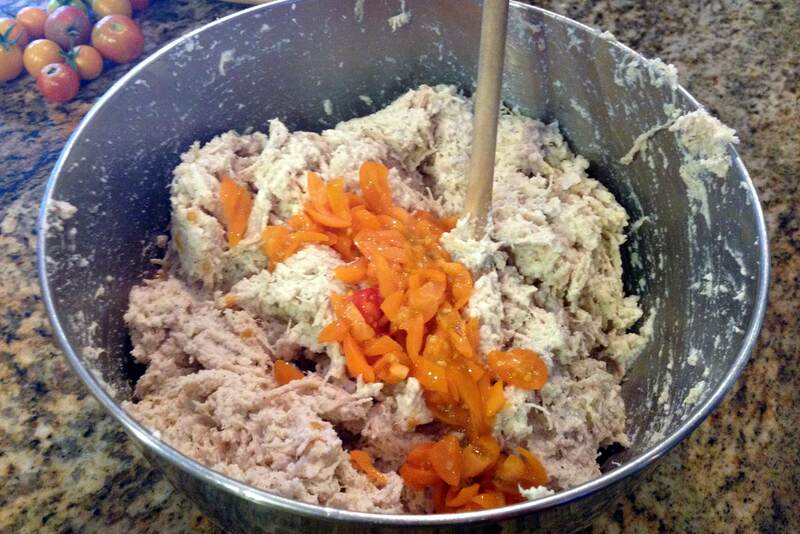 You can also add more olive oil and salt and pepper as you go if you would like. 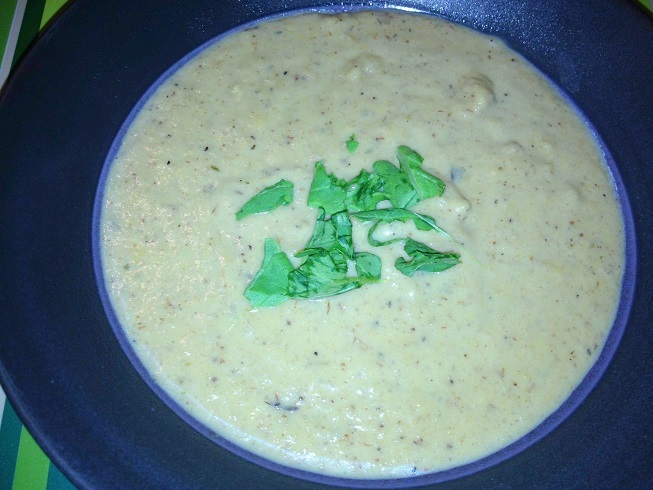 This soup is delicious and nutritious and it is really filling as well. My family has been on this Paleo kick so this one is paleo friendly. I love it because I was full on one bowl and on a chilly day it was just what we needed! Pre-heat the oven to 400°. 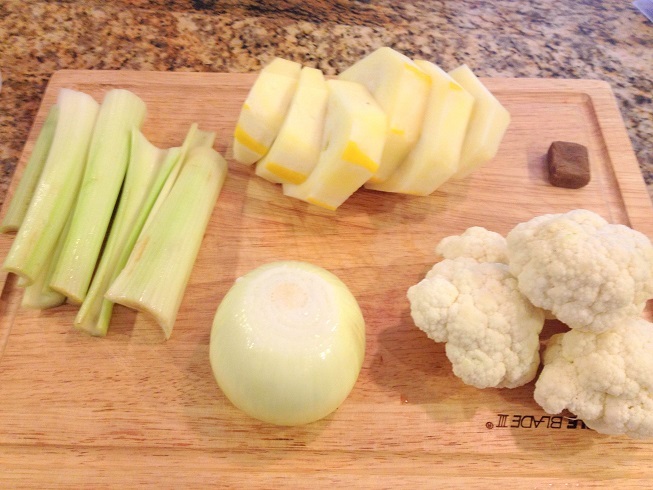 Chop up your pieces of cauliflower and your squash. Place them both on a baking sheet and drizzle with coconut oil. Season with salt & pepper, to taste. Roast for about 20-30 mins, until lightly golden brown. Set aside. 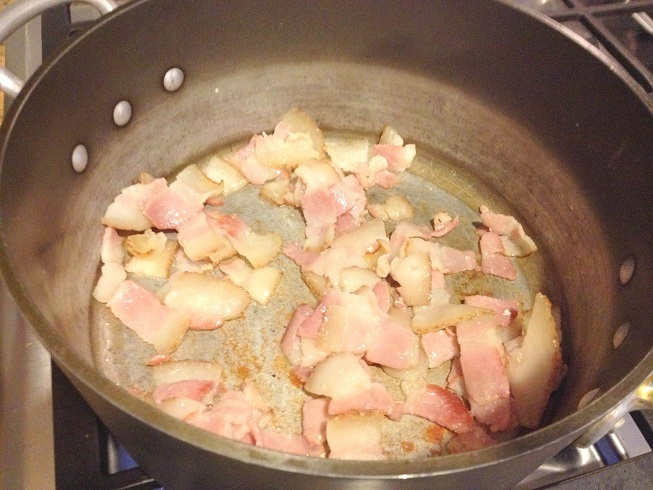 Heat your saucepan and toss in your bacon and cook it up! Remove the bacon and set onto a plate with a paper towel. 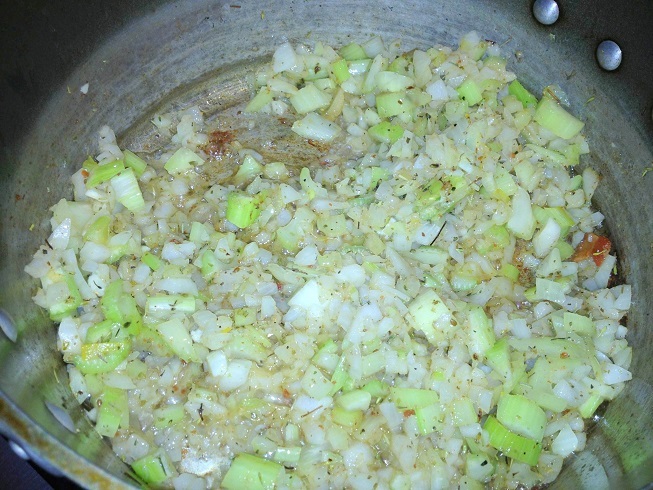 Leave the bacon grease in the saucepan and add your onion, celery, herb de provence and garlic. 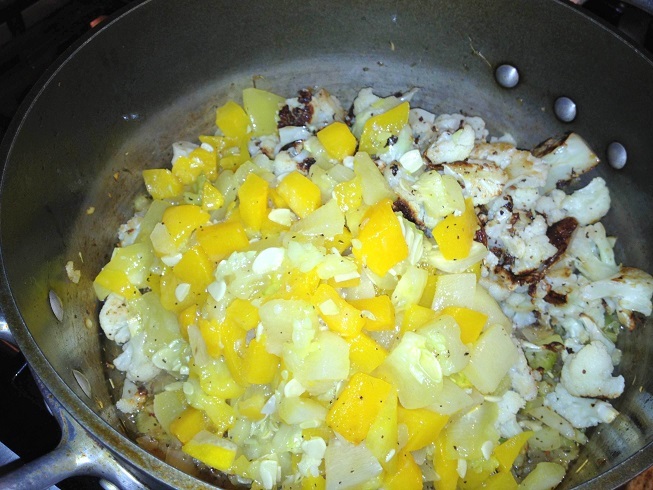 Saute until tender, about 5-7 mins. 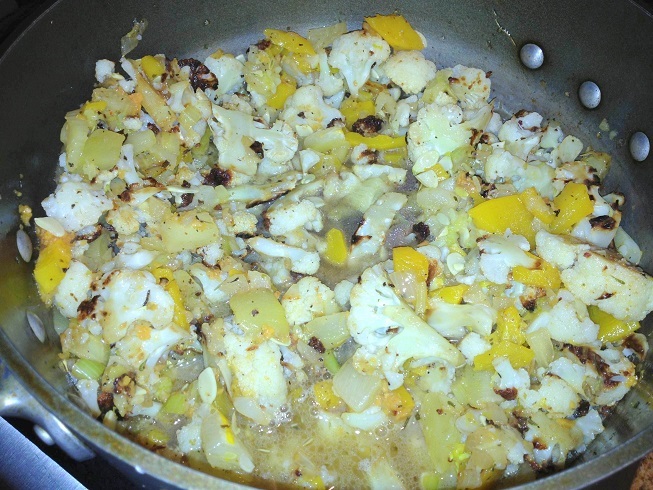 Add the roasted cauliflower, squash and vegetable broth to the saucepan and bring to a boil. 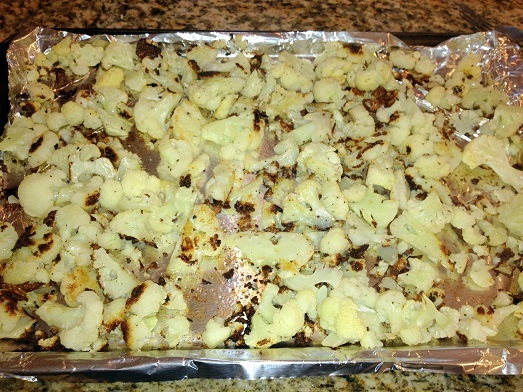 Reduce heat to a simmer and cook until the cauliflower is tender, about 15-20 minutes. 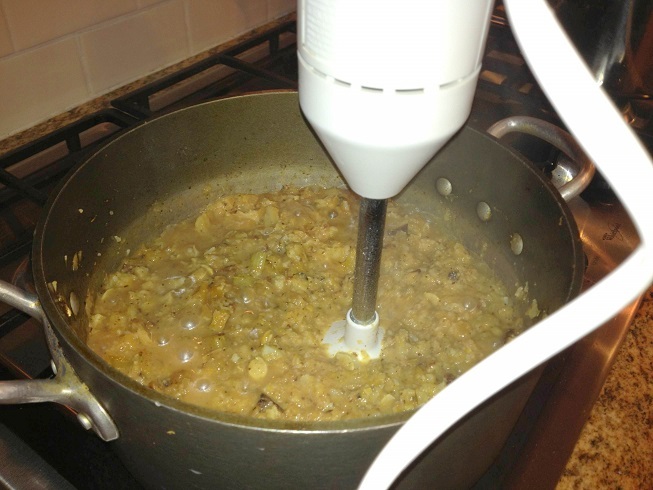 If you have an immersion blender, blend until the soup is smooth (this soup will start out thick so add more milk or broth if you want to thin it out). 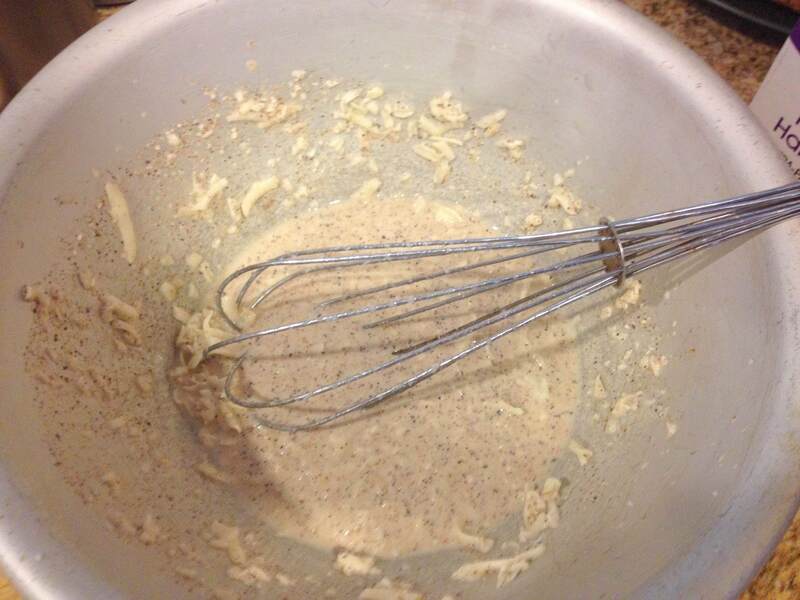 Otherwise, pour soup into a blender/food processor and purée until smooth. 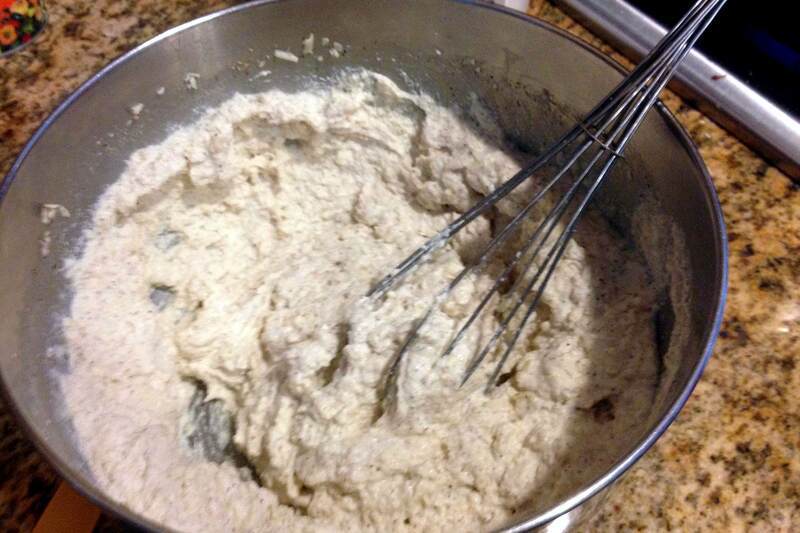 Stir in your coconut milk and cook for another 10 minutes. Blend your soup some more if needed. Pour soup into bowls and top with your bacon and a little arugula if you would like. Enjoy!